INTERNATIONAL SURFACE PREPARATION CANADA, LTD. represents the combined expertise of the world’s best known and trusted brand names. We offer the most widely recognized names in wheel blasting, abrasive air blasting, and vibratory mass finishing equipment that allow us to present a variety of solutions for all your surface preparation needs. We are a full line distributor of abrasives, replacement parts, equipment, and services for both industrial and commercial surface finishing needs. 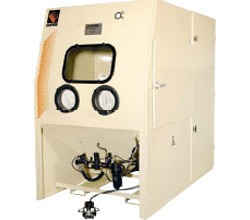 Blast cabinets are an economical, versatile piece of equipment used for many shapes and sizes, used with a multitude of applications & different abrasives. 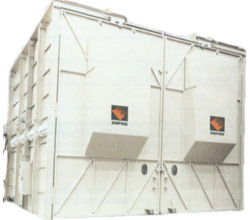 Fully equipped blast systems offer high mobility and easy transport from site to site. Designed to strip structures and large work-pieces at high removal rates. 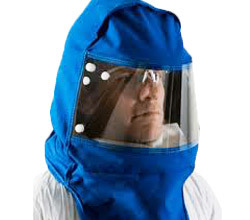 We understand and offer high-quality personal protective equipment and systems that comply with regulatory standards. Mass finishing media is available in numerous shapes, sizes and configurations. Media can be ceramic, plastic, metallic and even organic. 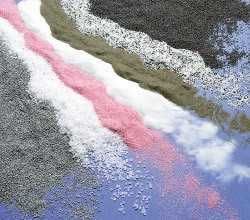 The two most common classifications of mass finishing media are Ceramic & Plastic. Blast rooms consist of several key components that need to work in harmony with each other, and need to be selected based upon the specific needs of the application. We are experts in the field of blasting automation and represent the finest equipment manufacturers in the world to help design your system. Provide unsurpassed satisfaction to our customers through the distribution of quality equipment, parts, abrasives, and services. Provide solutions to problems, not just products.